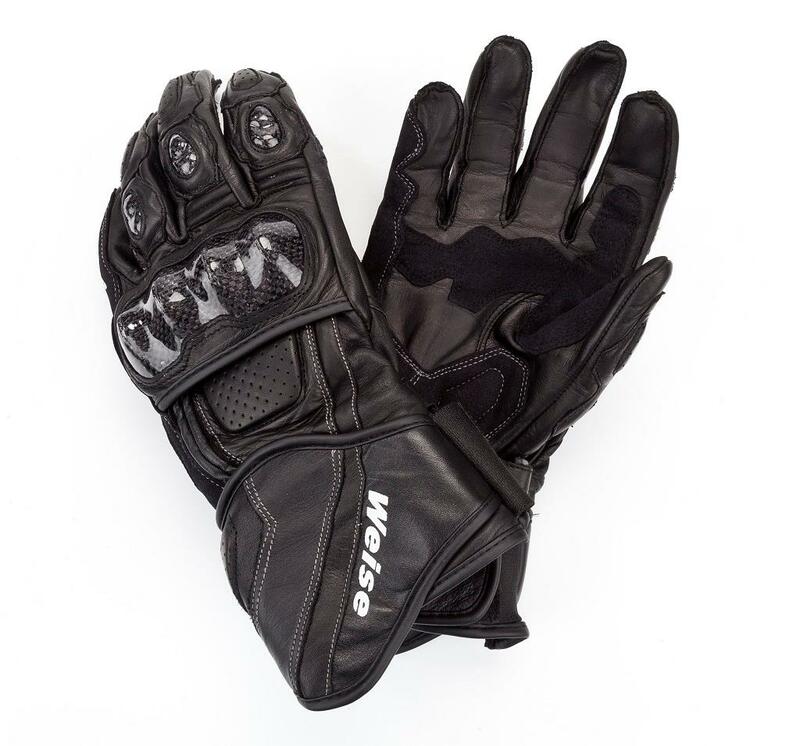 What’s good about the Weise Romulus gloves? Decent, understated protection that won’t leave you too much out of pocket. One aspect that drew me to the Romulus gloves was that they have passed CE testing as ‘protective gloves’ – which gives confidence they will do the job in a mishap. The CE testing includes abrasion, how easily you can work the controls and how securely they fasten. Comfort and feel are both fine but not exceptional, while the construction has proved sturdy so far with no stitching coming loose. Protection wise there is hard armour over the knuckle and extra layers of leather in vulnerable areas such as the palm. Your wrist is protected too, but this doesn’t make the Velcro-secured cuff too bulky to go under the sleeves of my all-weather riding gear. They don’t have the feel of top-quality sports gloves, but then they are sold as touring gloves and passing the CE test must add a little bulk. There’s not much in the way of ventilation, so I’ll be interested to see how they feel as the mercury rises. They only come in black.